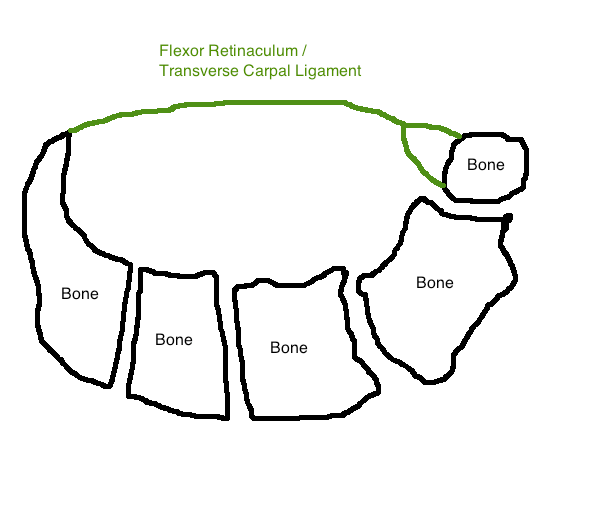 One area a cadaver made things easier was understanding the carpal tunnel. From the top there is a bunch of stuff covering it. 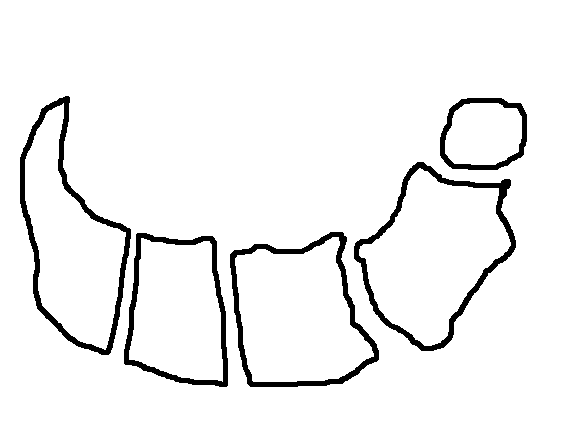 Once you get down to it though, it’s really a simple tunnel formed by the bones. 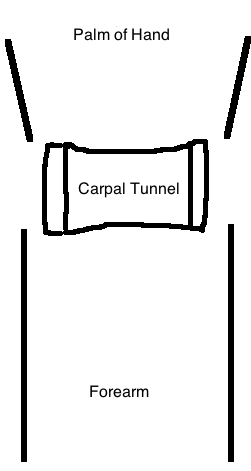 A couple places reference “women get it more than men and this is likely because their tunnel is smaller.” These places also reference carpal tunnel syndrome is only in adults; never children. Don’t children have the smallest tunnels of all? These explanations didn’t sit well with me. I went cruising through the second edition of Movement System Impairment Syndromes, which deals with the hand, thinking there has to be some possible movement issue(s) with carpal tunnel too. I found something that made a lot of sense. Let’s go back to our drawing to put this in easier to understand terms. 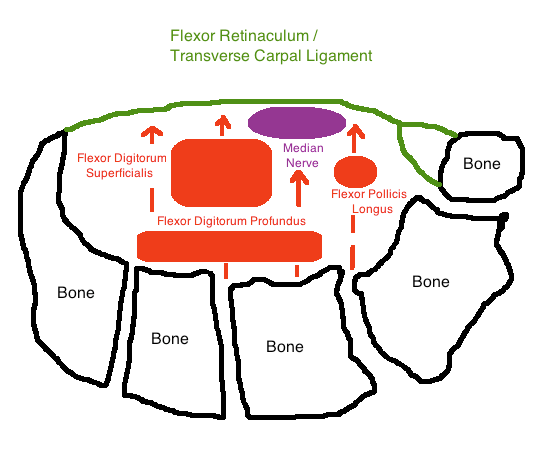 This explanation is saying when you bend your wrist and grab something at the same time, the flexor tendons move forward, possibly putting pressure on the median nerve. The tendons don’t glide forward. This seems to coincide with a much greater amount of people who grab a lot, such as assembly workers, getting carpal tunnel issues compared to desk workers. Think grabbing a box: Wrist and fingers both flex. 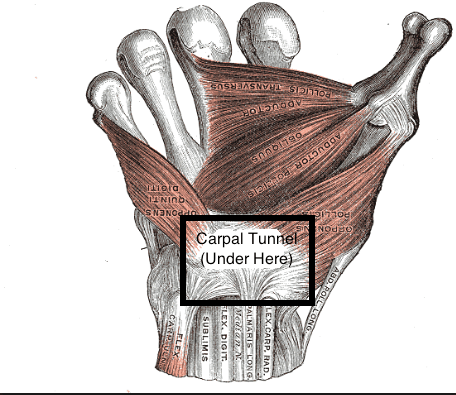 If you’re someone with carpal tunnel symptoms, who grabs a lot, you may very well need to change how you’re grabbing things i.e. keep your wrist straighter. 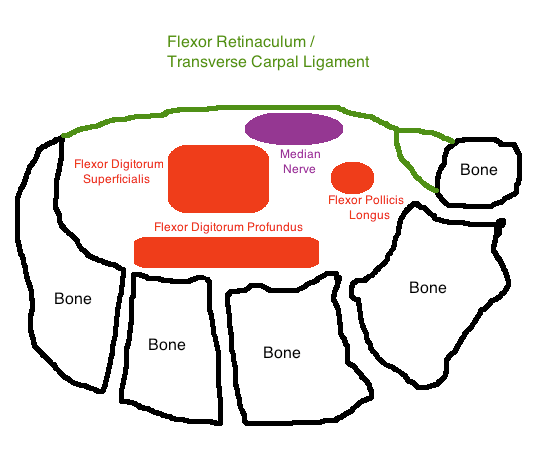 This meshes with how many people seem to get relief from a wrist splint -it keeps the wrist straight, preventing anterior glide of the tendons. I have clients (diagnosed with carpal tunnel syndrome, maybe for lack of a better diagnosis, I don’t know) that have increased pain associated with having the wrist extended as in a plank or push up position. 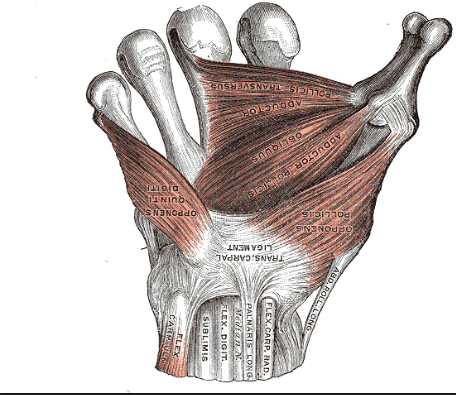 The tendons do not bulge in this position, however, keeping a straighter wrist (doing pushups on dumb bells instead of palms) does seem to help. Pain with wrist extension is the type of wrist issue I most often see as well. From my experience, this rarely coincides with carpal tunnel as there’s no radiating issues into the fingers. Awesome, thanks! I will definitely read it.